Eukaryotic DNA is packaged into chromatin, folded, and compacted. Histones, the building blocks of mammalian chromatin, are small basic proteins that can be covalently modified by acetylation, ubiquitination, and methylation at their flexible N- or C-terminal tails as well as globular domains. Modifications to these proteins affect different processes in the cell such as the activation/inactivation of transcription, chromosome packaging, DNA damage, and DNA repair. The modification of histones, referred to as post-translational (PTMs), includes acetylation, methylation, and ubiquitination. To date, acetylation/deacetylation of histone lysine residues, and methylation of DNA have proven to be of greatest clinical significance amongst epigenetic PTMs. Enzo offers an extensive Epigenetic platform with a complete toolbox for your Epigenetic research needs. Histone acetylation is an epigenetic modification that is associated with increasing propensity for gene transcription. The targeting of enzymes that modulate the histone acetylation status of chromatin, in synergy with the effects mediated by other chromatin remodeling factors, is central to gene regulation. Histone acetyltransferases (HATs) and deacetylases (HDACS) are two groups of enzymes that are responsible for the reversible acetylation of specific lysine resides of histones and other proteins. Histone acetyltransferases (HATs) have been implicated in playing a crucial role in various cellular functions, such as gene transcription, differentiation, and proliferation. Our HAT Activity Colorimetric Assay Kit offers a convenient, nonradioactive system for a rapid and sensitive detection of HAT activity in mammalian samples. The kit utilizes active recombinant HAT as a positive control and acetyl-CoA as a cofactor. Acetylation of peptide substrate by active HAT releases the free form of CoA which then serves as an essential coenzyme for producing NADH. NADH can easily be detected spectrophotometrically upon reacting with a soluble tetrazolium dye. The detection can be continuous and suitable for kinetic studies. The kit provides a simple, straightforward protocol for a complete assay. Our Acetyltransferase Activity Kit is a homogeneous mix-and-read fluorescent assay for the determination of any acetyl-CoA dependent acetyltransferase activity. It is suitable for end-point or kinetic read options, which is ideal for determining mechanism of action, kinetics, and screening candidate compounds. Our FLUOR DE LYS® Deacetylase Assay Platform has revolutionized HDAC & Sirtuin enzyme activity assays. Ubiquitination is an enzymatic process that involves the bonding of an ubiquitin protein to a substrate protein. Recent advances have defined critical roles of histone ubiquitination in transcriptional regulation and DNA repair. The writers, erasers, and readers of histone ubiquitination have also been linked to cancer development. The dominant form of ubiquitinated histones are monoubiquitinated H2A (H2Aub) and H2B (H2Bub). A single molecule of ubiquitin is added to the highly conserved lysine residues: Lys-119 for H2A, and Lys-123 in yeast or Lys-120 in vertebrate for H2B. The ubiquitin modification can be removed by ubiquitin specific peptidases known as deubiquitinating enzymes (DUBs). For isolation and enrichment of ubiquitinylated proteins, our UBI-QAPTURE-Q® kit is an efficient tool for the selective isolation of ubiquitinylated proteins. The kit facilitates the isolation of both mono- and poly-ubiquitinylated proteins (independent of lysine residue chain linkage) from cell extracts, tissue lysates and in vitro assay solutions through use of a high-binding affinity matrix. Captured proteins can be analyzed by Western blotting using the highly sensitive ubiquitin-conjugate specific antibody provided, using antibodies to specific proteins of interest, or eluted from the matrix for subsequent biochemical characterization. Additionally, our Ubiquitinylation Kit provides the means of generating a range of thioester-linked ubiquitin conjugation enzymes (E2s), utilizing the first two steps in the ubiquitin cascade for use in the transfer of ubiquitin to E3 ligases, and the subsequent ubiquitinylation of target proteins. Biotinylated ubiquitin provided supports thioester formation and high sensitivity detection of ubiquitin conjugates. 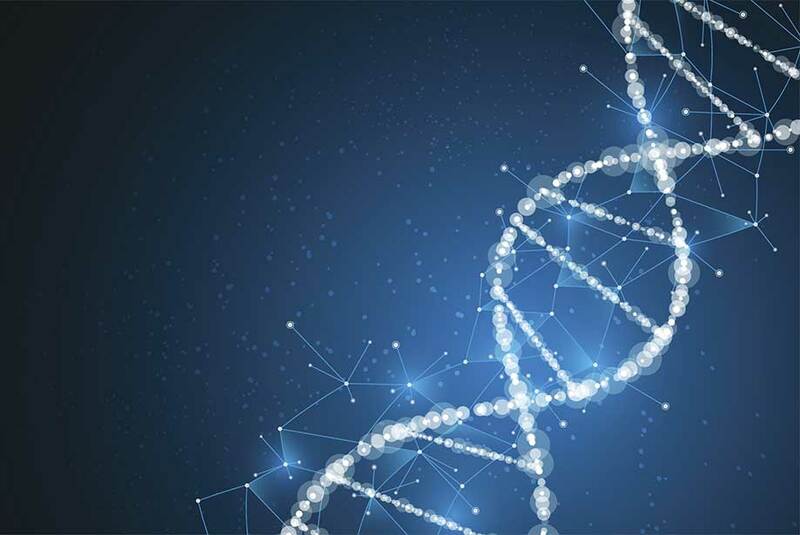 DNA methylation is one of the most studied epigenetic modifications, both in terms of basic biology and biomarker discovery. It can alter gene expression, cell differentiation, and often results in unidirectional changes to genomic DNA. As DNA methylation is involved in so many cellular processes, errors resulting in abnormal patterns can lead to disease. The addition of the methyl groups is catalyzed histone methyltransferases that utilizes SAM (S-Adenosylmethionine) as the methyl group donor. More recently, enzymes that remove the methyl group (demethylases) have also been described. Our Methyltransferase Activity Kit is a homogeneous mix-and-read fluorescent assay for the determination of any S-adenosyl-L-methionine (AdoMet/SAM) dependent methyltransferase activity. It is suitable for end-point or kinetic read options, which is ideal for determining mechanism of action, kinetics, and screening candidate compounds. In addition, our Methyltransferase HT Activity Kit is ideal for high throughput (HT) applications as the SAM is provided separately giving you the flexibility to titrate the SAM to be in excess for your specific MT of interest. This is ideal for driving kinetics of low turnover enzymes and getting more utility by using less precious sample. Enzo’s highly sensitive DNMT Colorimetric Drug Discovery Kit is a simple method to detect DNA methylation activity or inhibition with results in less than 4 hours. The LSD1 Fluorimetric Drug Discovery Kit provides human recombinant LSD1 and all reagents for measuring its activity in a sensitive, real-time fluorescent assay. LSD1 catalyzed demethylation of the Histone H3 Dimethyl Lysine-4 Peptide produces hydrogen peroxide. A fluorescent signal is generated via the horseradish peroxidase (HRP) catalyzed reaction of the hydrogen peroxide with the CELLESTIAL® Red Peroxidase Substrate. Although fluorescence detection is more sensitive (Excitation in range of 530-570 nm; Emission ca. 590 nm), the CELLESTIAL® Red peroxidation product may also be detected by following absorbance. Enzo provides a comprehensive portfolio of widely cited active HDAC and Sirtuin proteins, HATS, methyltransferases and demethylases. Our SCREEN-WELL® Epigenetics Library contains 43 compounds with defined activity against epigenetics-regulating enzymes, each of which can be supplied individually upon request. Our portfolio of reagents also includes antibodies for the detection of key epigenetics-regulating enzymes and substrates, including modification-specific antibodies for acetylated, methylated, phosphorylated or ubiquitinated epitopes. Further details can be found on our Epigenetics platform page or our complete toolbox guide. Please contact our Technical Support Team for further assistance and check out our TechNotes, an easy way for you to see how Enzo is living up to our motto: Scientists Enabling Scientists™.